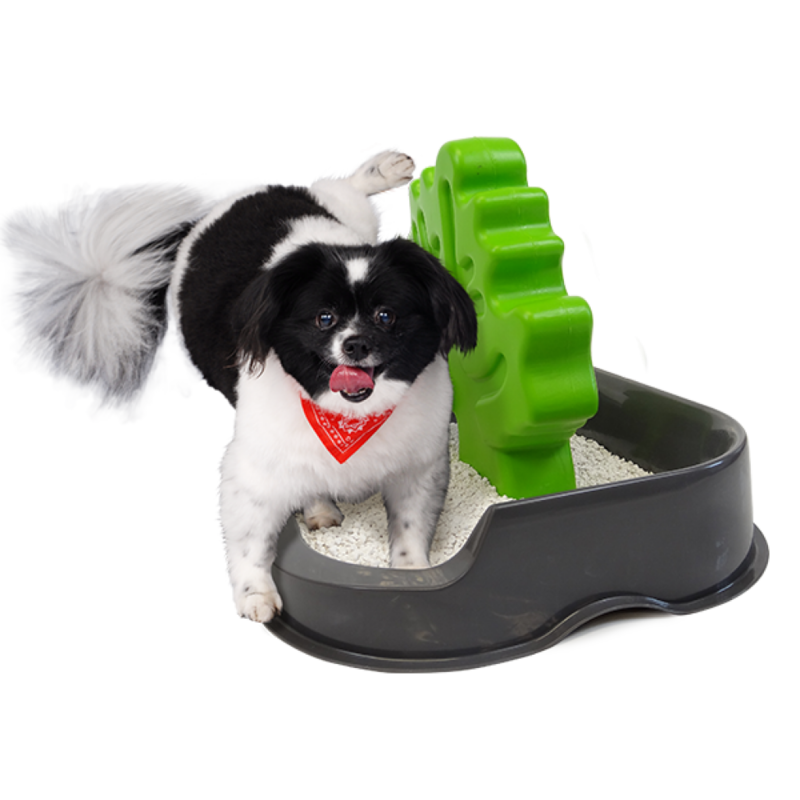 It’s easy to train your puppy to use Woofaloo, take a puppy pad and cut it out to fit the tray with the template, introduce Woofaloo to your puppy as soon as you can and give encouragement with praise & reward when your puppy uses Woofaloo – but have patience as you will get the odd “accident”. The time to train mature dogs can vary from a few hours to a few days, depending on their character. With patience and encouragement from praise & reward when your dog uses Woofaloo and support from their sense of smell, your dog will soon get used to Woofaloo. Woofaloo is ideal when your dog can’t go out and will help to keep your house clean – just follow the training tips above to help get your dog used to Woofaloo.